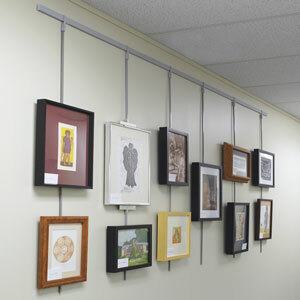 These rod sleeves are for use with the Walker Display System. Use them to hang Plain Rods from molding, ceiling, or open plan partition. Ceiling Rod Sleeve, Dual Rod Sleeve, Hook-Over Rod Sleeve, Lock-On Rod Sleeve, Ogee Rod Sleeve. For the top edge of open plan partitions. Order one plain rod for every sleeve.